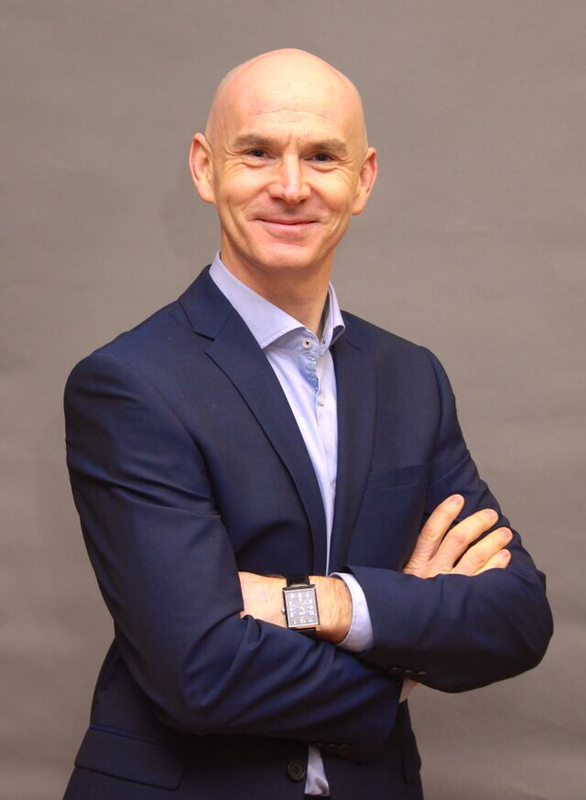 With an MSc in Energy Management and Renewable energy from University of Ulster, he is a Certified Energy Manager (CEM), Measurement & Verification professional (CMVP) and trainer for ISO50001. In recent times, he has trained ESOS Lead Assessors in Transport Energy Auditing at the request of the UK Government’s Environment Agency, led the publication of EN 16247-4 Europe’s transport energy audit standard and contributed to ISO50004. 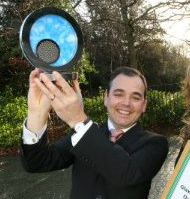 Since 2005, Conor’s day job has been helping business’ save fuel and manage their energy usage for profit and reduced emissions. Damien English TD is the Minister of State at the Departments of Education and Skills & the Department of Jobs, Enterprise and Innovation with Special Responsibility for Skills, Research and Innovation. 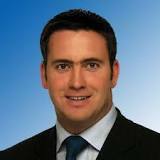 Damien is a member of the Fine Gael Parliamentary Party representing the constituency of Meath West. Damien first stood for election in 1999 and was elected to Meath County Council for the Navan electoral area. In the 2002 general election, Damien was elected to the 29th Dáil as TD for the Meath constituency. At 24 years of age he was the youngest TD in the 29th Dáil. 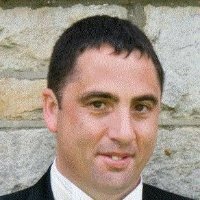 Derek is a Senior Manager with Amgen’s Corporate Facilities & Engineering group. Within this role, he leads Amgen’s global energy program, and cross site networks which focus on sustainability, utilities O&M, and critical systems. An important aspect of his role is to provide leadership on achieving sustainable operation of utility systems whilst maintaining quality performance in a highly regulated environment. 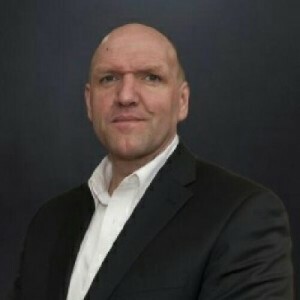 He has experience in design & execution of energy management processes both at site, and corporate levels, including hands on experience of ISO50001 implementation. Prior to his experience at Amgen, Derek had spent over 10 years in the pharmaceutical sector, focusing on utilities & energy management, with a primary focus on biotechnology. Before this, he spent over 15 years in various utilities and maintenance roles in the electronics and power generation industries. He is a Chartered Mechanical Engineer, a Certified Energy Manager, and a Lean Six Sigma Black Belt. Ivan is based in SEAI regional office in Sligo. 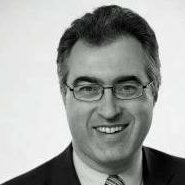 His is Business Programmes Manager for the SME and Large Industry Programmes in the Sustainable Energy Authority of Ireland (SEAI). Through these programmes he managers all supports offered to 180 of the largest energy users in Ireland through the Large Industry Energy Network and the Advice, Mentoring and Assessment Programme for SMEs. He has been involved in the development and delivery of several grants schemes across the residential, public and industrial sectors. He also spent some time abroad in Eastern Europe and Russia advising food industries on improving their energy performance. 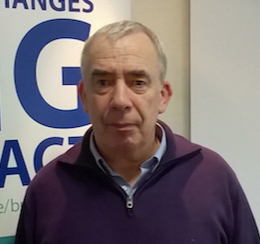 Dr. Keegan is a specialist in the areas of Lean/World Class Business and Benchmarking with Enterprise Ireland. He has focused on adapting these concepts for small and medium enterprises (SMEs). He has worked closely with a large number of companies, helping them introduce the concepts of world class manufacturing based on objective benchmarking. He has written several books on the topic and is a Adjunct Assistant Professor, in the Business School at Trinity College Dublin, lecturing at MBA on Operations Strategy and undergraduate level on Operations Management, and as a guest lecturer at National University of Ireland – Galway, to both undergraduate and MBA levels. He acts as the European advisor to the World Class Activities of the EU-Japan Centre for Industrial Co-Operation. He lead the DG Enterprise Benchmarking Initiative, the European Benchmarking Forum and Network, focused on developing synergies and actions forward for benchmarking within the European Community as a means of developing the competitiveness of industry. He has trained as an engineer and has achieved Chartered Engineer status and a Master of Commerce degree on world class practices for SMEs. He is a Fellow of the Institute of Engineers of Ireland. He has been awarded a Doctoral degree with National University of Ireland, Galway, for work based on the use of benchmarking and world class practices to improve the operational performance of SMEs using networks. His latest book Applied Benchmarking for Competitiveness has been published in Ireland and India and has been published in a translated form in Portugal and Italy. Proceeds from the book are given to the Irish Cancer Society, Research Fund. He has worked previously for DAF Trucks, Nokia and Nestle. Responsible for the management of and delivery of annual Energy Reduction targets in both of Dungarvan GSK Sites during time of continuted growth and expansion. Hosted Energy Kaizen event which developed 4 year plan for 70% CO2 reduction and 65% Energy Cost Reduction by end of 2017 through structured, planned, innovative cost saving and renewable energy projects. Delivered 7.5% reduction in energy usage in first full year with a saving of €450,000 per annum. Awarded best in Consumer Health for GSK for 2014, finalist in 2015 SEAI Energy Awards, winner of Process Award with Ibec 2015/2016 and winner of the overall Environmental Excellence Award 2015/2016. Implimentation of ISO 50001 to site for compliance with EED Article 8. Tasked with delivering these targets on time and within budget. Budget Managment for Site Energy and Energy Saving Capital Projects of cira €6m/yr. Jim launched his career with Sisk as a Site Engineer, later moving to Telectron Telecom, a fully integrated design and manufacturing company as a Production Engineer. He was then recruited by Storage Technology Computers, a Tape and Disc drive computer manufacturer as a manufacturing Engineer. He subsequently worked for AT&T as a Senior Engineer specialising in product transfer, new product introduction and process automation before being quickly promoted to Engineering Manager. Jim was appointed Managing Director in 2001, and over a period of 5 years transformed the company culture into dynamic force through training and mentoring, becoming a key supplier to tier 1 contractors working on successful projects in Abbott Pharmaceuticals, Boston Scientific, Seagate, Hollister amongst others. In addition he developed the company’s Research and Development capability particularly in the area of composting equipment. Jim was recruited as a Project Manager during the start-up phase of the company, soon afterwards transitioning into the role of Site Engineering Services Manager which included responsibility for Environment, Health, Safety and Energy. In 2015 he completed a major two year site capital investment program. He is particularly proud of achieving ISO 14001, OSHAS 18001 and ISO 50001 Certification during the year. His aim is to add ISO 55001 by June. He obtained a Mechanical Engineering Degree from College of Technology, Bolton Street, a Bachelor of Science in Engineering from Trinity College, a Degree of Master of Engineering Design from UCD, and is a member of Engineers Ireland. A very recent convert to cycling, he organised and completed the inaugural “ALL for One” AbbVie Cycle Challenge from Sligo to Dublin in 2015. With the 2nd Annual Cycle Challenge organised for June from Sligo to Cork, not only is he adamant that he will complete the journey but successfully cross the Slieve Bloom and Knockmealdown Mountains on the way to Garryvoe. Alan Freeman is an ambitious and highly-motivated Energy Manager with Veolia. He holds an MSc in Energy Management from Dublin Institute of Technology and completed a dissertation titled ‘Reducing Energy Consumption, Increasing Energy Efficiency through the Adoption of ISO 50001, Resulting in Industrial Cost Savings’’ in 2012. Alan currently operates within the Veolia Energy Engineering Team and specialises in the implementation of energy management systems which conform to all clauses set out within ISO 50001 Energy Management Standard. He has implemented energy management systems across various industries such as pharmaceutical, food and beverage, commercial and healthcare. He’s presently implementing ISO 50001 across Pfizers’ Grange Castle site. 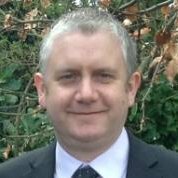 Alan also manages the Veolia Hubgrade energy monitoring service in Ireland which provides clients with real time energy information. 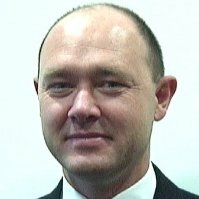 Alan has responsibility for configuration of the system, energy analysis, establishing and communicating energy alarms, reporting on energy consumption trends and performance indicators. 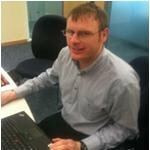 As part of his role within Veolia’s Engineering Team, Alan conducts both high level and detailed energy audits for clients. Recently, Alan conducted a number of Energy Audits through the energy Auditing Scheme (EAS) with particular emphasis on the pharmaceutical sector. Paul Walsh is employed as an Energy Lead with J&J Visioncare (Vistakon) Limerick. He is responsible for identifying and implementing energy conservation measures to reduce energy required per contact lens produced. He leads the onsite Energy team in collaborating with key stakeholders to ensure alignment in reducing site kWh consumption. Previous to J&J Paul worked as Energy Efficiency consultant with Crowley Carbon, and has also worked as an engineering manager with Dell computers. He has 15years industry experience and a proven track record in delivering energy savings and process improvements for large multinationals. Paul has B.Tech (hons) in Manufacturing Technology, and an MBA from UL, and a post grad in Energy Management. He lives in Tipperary with his beautiful wife Eimear, and their two children Sean (a future Barcelona soccer star) and Molly (a future doctor/dentist/vet) – no pressure guys! Host in Ireland is an industry-led and sponsored initiative demonstrating why Ireland is an optimum location to host Digital Assets . Host in Ireland’s on-line and Offline activities will endeavour to always provide timely and accurate information relating to digital asset hosting in the Ireland. 5. People: Talented workforce that comes from a culture that puts people first. Host in Ireland positions Ireland as an ideal location for Global companies to expand their global footprint in a secure centralised and secure geographic location. Host in Ireland Provides Timely and Accurate information on Ireland’s Digital Asset Hosting EcoSystem and provides Globally based organizations premium digital asset hosting options in Ireland. The combination of these critical benefits – affordable power and renewable energy; ample connectivity to Europe and America; redundant network and bandwidth capacity; various data center providers offering an array of services; tax benefits; talented workforce; and an attractive pro-business structure implemented by the Republic of Ireland – validates why the leading US gaming, cloud, finance and Ecommerce companies have called Ireland the home of their digital assets for well over five decades. Working as lead member of the Engineering Department with direct responsibilities in many areas so as to ensure the department delivers the required service in a professional manner adhering to all budgetary, regulatory, statutory and safety requirements. Departmental budget compliance. Leading role in setting, negotiating and controlling contracts to ensure the department remains within its budget constraints. The co-ordination of all projects onsite. These projects include all Capital Investments, local equipment upgrades, and New Product Introduction projects or sub-projects. Site Energy Champion, with direct responsibility for the site Energy Management programme and the maintenance of the certification to ISO 50001 Energy management Standard. Abbott Global Award 2011. AEE International Award 2012. Responsible for the Calibrations Programme on site to ensure regulatory compliance. This role includes supervision, control of the calibration budget and responsibility for all associated contracts/contractors. Responsible for all Electrical, Instrumentation and Automation systems onsite including Facility/Utility equipment and responsibility for all associated contracts/contractors. Eugene is a specialist in electricity market design, trading and modelling. During his 27 year career he has experience of power station operations, IT, market design and regulation, trading, forecasting electricity prices and production volumes. Ireland is currently designing new wholesale electricity trading arrangements, in order to comply with new EU regulations and increased penetration of renewables. Eugene is leading ESB’s programme that is influencing the market design and ensuring ESB’s readiness for the new trading arrangements that are due to go live in October 2017. Liam O’Leary is the Utilities Facilitator (Maintenance Supervisor) in Janssen Biologics. 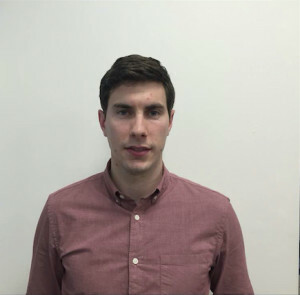 He took on this role in January 2013 and prior to this he was the Electrical and Instrumentation Engineer for Janssen Biologics since 2008 and has over 12 years industrial experience. He was the Project Lead for the delivery of a 3 MW wind turbine on the Janssen Biologics site and is a key member of the Cork Lower Harbour Energy Group (CLHEG). Liam is also the J&J Campus Ireland Energy Lead. Liam holds a Masters Degree in Project Management and an Honours Degree in Electrical Power Systems. Liam delivered a 3MW wind energy project ahead of schedule and within budget resulting in over 30% savings in electrical energy costs. Liam has also delivered improvements to the site’s grey water conservation project with a reduction of 26% water volume in to the site. Liam has lead numerous energy reduction projects in Janssen Biologics including LED lighting pilot project on Janssen Biologics site resulting in a 3% reduction in electrical energy usage on site. Liam lead ISO50001 energy management accreditation across Campus Ireland and has achieved certification to identify common energy opportunities. J&J Campus Ireland will be seen globally as the benchmark for Energy Management and will be a leader in Energy cost reduction, efficiency, Sustainability, Research and CO2 reduction. Specialties: Energy Management, Business Excellence, Principal Engineer, Project Management, Engineering Management, Technical Management, New Product Introduction & Development, Lean Six Sigma, Asset Management, Innovation & Technology Transfer, EHS Compliance, Air/Water Emissions Abatement Technologies, Process & Product Validation. As an expert and advisor in the area of energy/carbon management, John has delivered seminars, workshops and training courses internationally on sustainable energy management (ISO 50001); is co-author of energy management systems – an Implementation Guide & an Audit Guide and of “Energy Managment, Practices and Principles” a MEUC and British Gas publication.